If you are looking for guaranteed Toyota car parts, new, used or aftermarket Toyotaz Galore is one of New Zealand’s leading Toyota Car dismantlers and recyclers. We also buy unwanted Toyota vehicles for our wreckers yard. 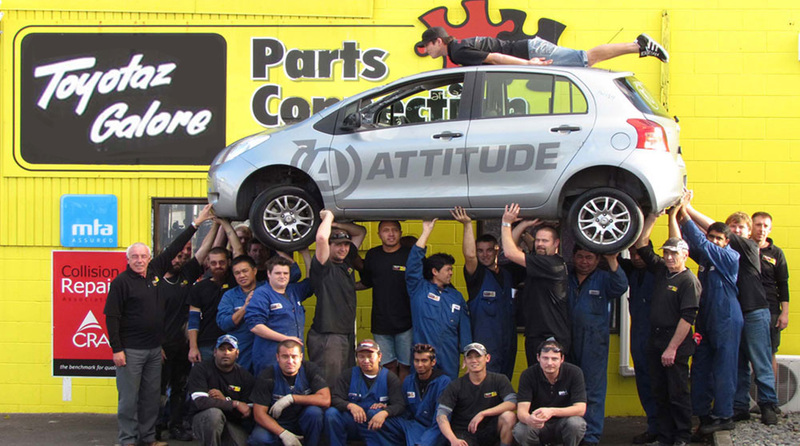 As a member of New Zealand’s leading automotive dismantling group Parts Connection all our used car parts are clean, serviced, guaranteed and are at an affordable price. We are recycling accredited, and are amongst New Zealand’s top vehicle dismantling specialists. All our stock is processed through our computerised and bar code stock management system and is fully tracked. We have a huge range or current stock available at all times. However we are also willing to search for any specific products you may need for your region. Toyotaz Galore is your one stop shop for new and used Toyota car parts, car spares and accessories in Auckland.